Office Max has served the Tustin Community for 15 years and has been a Tustin Chamber member for the past 6 years. They were recently named one of the most ethical companies of 2012 by the Ethisphere Institute. The philosophy of Office Max is based on a solid foundation of integrity, exhibited in exceptional customer service. The success of Office Max is closely tied to their helping the community to do their best work. As an example, Office Max works annually with Adopt-A-Classroom to recognize teachers with an ‘A Day Made Better’ award and $1,000 in classroom supplies. Office Max was a contributing sponsor to the Tustin Chamber Health and Wellness Expo last year, as well as the Leprechaun Leap this year. They also volunteer at the Celebrity Walk ‘n’ Roll for Muscular Dystrophy and sponsor the Art Miles and Peace Doves Projects in Orange County. Since 1960 HMWC CPAs and Business Advisors has specialized in serving the financial needs of privately held businesses and their owners throughout Southern California. The firm has been located in Tustin since 1970 and their mission statement is to provide clients with a level of service and quality that is unparalleled in the industry. 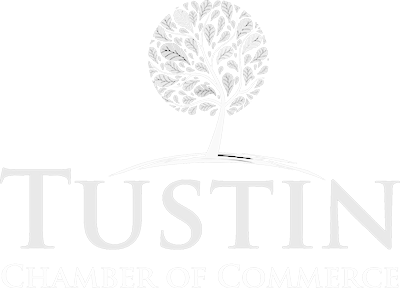 HMWC CPAs has been a member of the Tustin Chamber of Commerce since October 1980. They are also members of the Tustin Community Foundation and sit on the advisory committee for TCF. The firm’s community involvement includes serving on various committees and sponsoring such community organizations as the American Red Cross, Blind Children’s Learning Center, the Boys and Girls Club of Tustin, Family Promise of Orange County, and the Orange County Rescue Mission among others. HMWC CPAs has been recognized for professional leadership as the recipient of various awards including Orange County Metro’s Top 100 CPA firms, The Orange County Business Journal’s Best Places to Work and Best of the Best managed CPA firms in the USA. Gary Bernat has not yet been in business for an entire year, he began his State Farm Insurance agency in Tustin in August 2011. Since that time, Gary has been an ambassador for the Tustin Chamber of Commerce serving on the committee for the 2012 Chili Cook Off, participating in the Leprechaun Leap Expo and sponsoring the event, volunteering at last years’ Chamber Business Expo, and attending many ribbon cutting ceremonies for fellow Tustin Chamber members. As a Chamber mentor, he routinely follows up with new and prospective members to invite them to Chamber events. Mr. Bernat was honored with Ambassador of the Month in March 2012 for his involvement with the Tustin Chamber. Mr. Bernat has lived and volunteered in Tustin for the last eight years, and considers his involvement in the community as a large part of his overall business strategy. His mission is to help families, individuals, and small businesses manage risks and recover from the unexpected. He works hard to provide quality service, personal relationships, and integrity in every endeavor. The Tustin Boys and Girls Club has belonged to the Tustin Chamber of Commerce for 23 years, serving the youth of the Tustin area for the past 46 years. Their mission is to enable all young people, especially those in the most need, to reach their full potential as productive, caring, responsible citizens. Programs at the club are focused on making a positive impact on members and are concentrated on the following key components: academic success, healthy lifestyles, and good character/citizenship. The Boys and Girls Club of Tustin serves over 2,500 youth ages 5-18 each year. The Boys and Girls Club has been an active partner with the Tustin Chamber of Commerce since 1989. Previous administration has served on the Chamber Board of Directors and various committees. The Boys and Girls Club recognizes Tustin’s “Police Officer of the Month” by donating a work of art from one of their members, which is presented at each Chamber Monthly Membership Breakfast. Last year the Boys and Girls Club of Tustin received 2nd place (out of 4,000 other clubs) as a Merit Winner for their Project Hope Outreach Program.